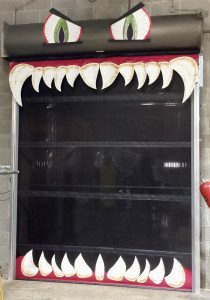 This E-track Mounted Screen Roll Up Door got a Monstrous Makeover thanks to our production staff. The gang is all here, even Molly the Dog our honorary employee. 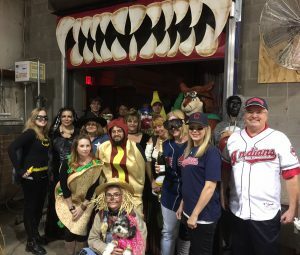 Can you spot your favorite Sales Rep?